The International Banana Museum peels back the truth on why we do the splits over this fruit. Enthusiastic owners Fred and Kim Garbutt have travelled the world promoting the museum. Yes, we do have bananas. 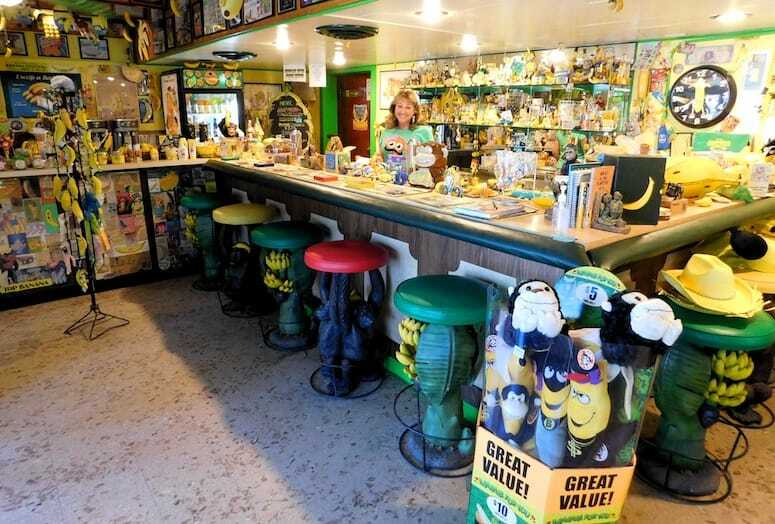 The International Banana Museum located in Mecca near the Salton Sea has more than 20,000 banana-related items to peruse. But first you have to sit at the banana bar and enjoy a banana shake, ice cream soda float, banana split or chocolate-covered banana. Don’t forget to sample one of four different kinds of banana soda pop. VIDEO: Co-owner Fred Garbutt tells how his unusual museum got started. Enthusiastic owners Fred and Kim Garbutt have travelled the world promoting the museum. Make sure to see their calendar filled with pictures of a cute banana character named Platty, who travels with them. He’s been snapped for the calendar in Italy, Russia, and France. Picture taking is encouraged at the museum, especially if you want to dress up as a banana (they have the outfit on hand — no worries, they are cleaned before each use). pieces of banana-related items. 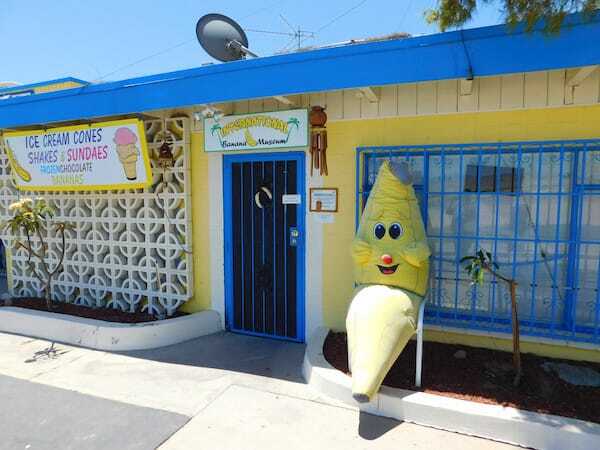 It’s also an ice cream shop. 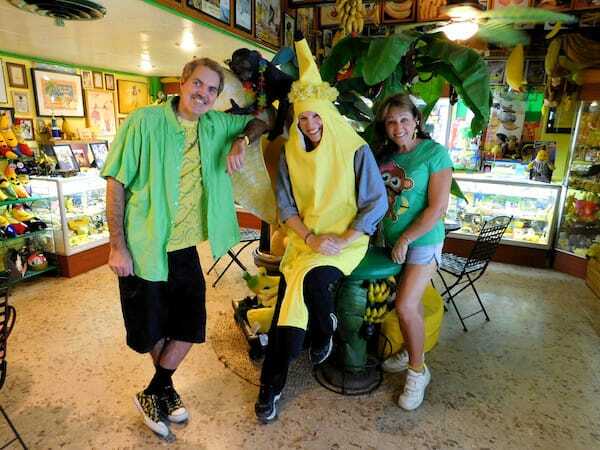 And Fred will slip in a banana story or two, peeling back the real story behind this popular fruit. “Twinkies started out with a banana cream filling, but during World War II, bananas were in short supply so they changed to vanilla cream,” he says. You have the opportunity to dress as a banana. Owners, Fred and Kim Garbutt make writer Karen Graninger’s day.